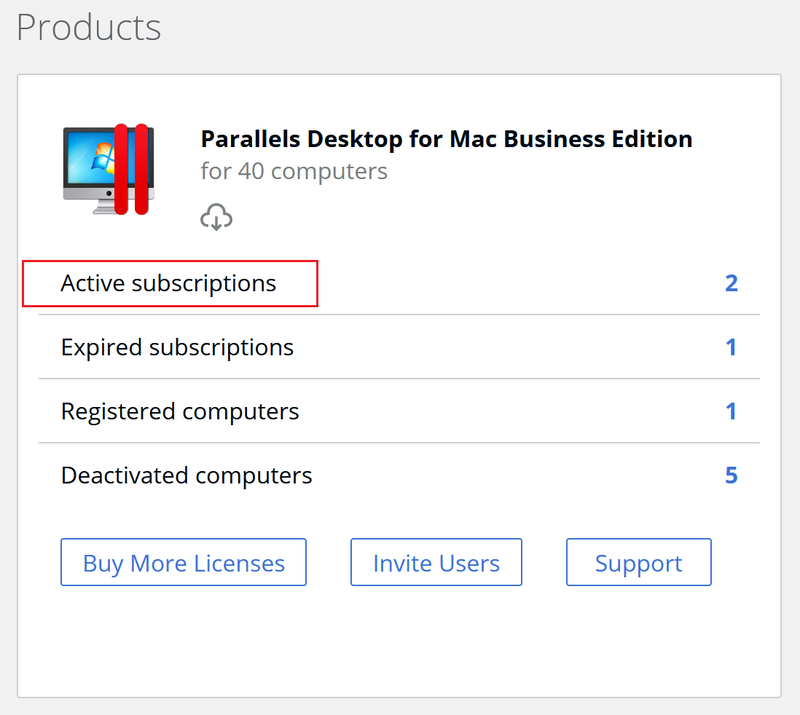 Sign in to your Parallels Account and make sure your business account is selected from the drop-down list on top. Subscriptions on the Dashboard are divided by products. Click on Active subscriptions under one of the products to view the subscriptions list. 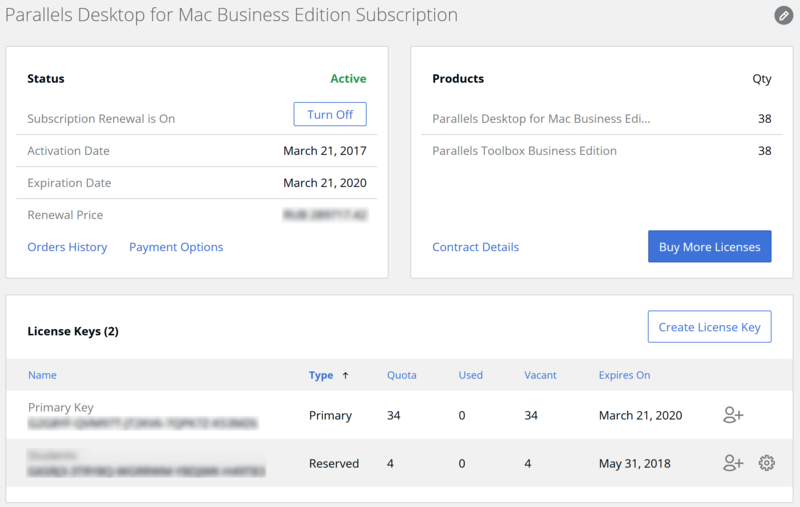 The list shows subscription renewal or expiration date and the number of licenses it includes. To learn how to cancel or enable an automatic renewal of your company business subscription, see Managing auto-renewal in a Parallels business account.